During this second week of Advent we celebrate the good news that God sent His only Son into the world to become the true and better Servant, the true and better Israel, in order to bring justice to the nations. Jesus took on the identity of Israel, as the “chosen servant” of Isaiah 42:1-9, so that Israel could take on His identity of being just and at peace with God. By becoming the “chastised servant” of Isaiah 53:4-6 Jesus made a way for justice and peace with God, not for Israel alone, but through Israel, for us all. Jesus made an offering big enough to provide justice for all by becoming an offering of Divinity wrapped up in the flesh and blood of a sinless man. The One through whom all things were created has come, and He has “taken us by the hand.” Therefore, what should we fear? Our LORD has authority over all things, and He has declared that He is for us, not against us! On this second week of Advent, take comfort in the knowledge that through the person and work of Jesus we stand as justified before our Father. Trust Him, and find true peace. 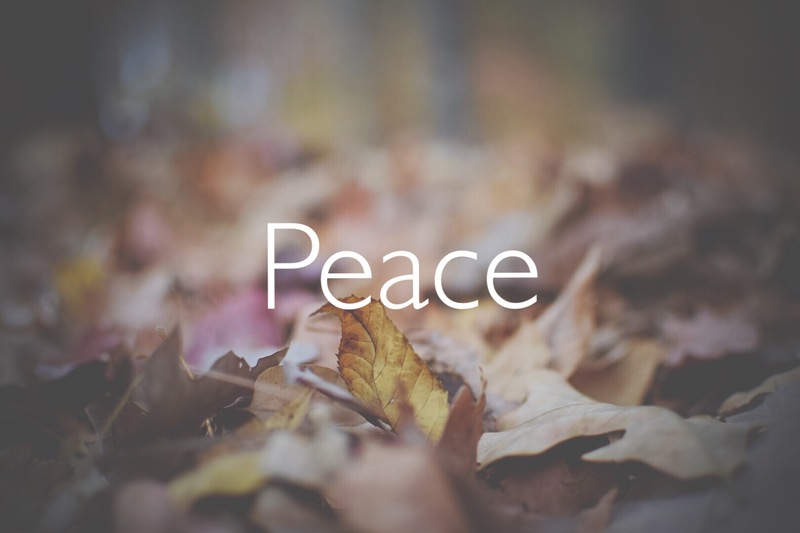 As we anticipate the second coming of Jesus, when He will restore peace in all of creation, may we take courage to be peacemakers who bring the gospel to bear on the injustices of this world. May we go with the message of justice and peace to the fearful. May we be a light in the darkness.